Conversica is a SaaS technology company providing a conversational artificial intelligence platform that automates routine business conversations and takes autonomous actions. 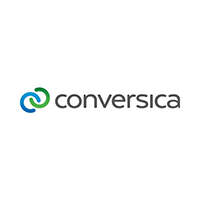 The flagship Conversica AI Sales Assistant helps companies find and secure customers more quickly and efficiently by automatically contacting, engaging, qualifying and following up with leads via natural, two-way conversations. Used by more than 1,000 companies worldwide, Conversica’s AI Assistants are built on a proven and patented AI platform integrating natural language understanding (NLU), natural language generation (NLG), and deep learning capabilities and engage prospects over multiple communication channels and in multiple languages.